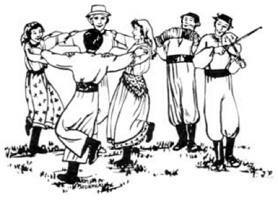 Information: A weekend folk dance camp. A celebration of folklore with music and dance, held at Sister Bay, Wisconsin, and founded in 1979, the Door County Folk Festival is one of the most fun-filled, enjoyable and educational dance weekends held in the Midwest. Each year, the Festival attracts hundreds of participants to Door County, Wisconsin, from all around the United States, Canada, and often other countries. This Annual event will continue a tradition of enjoyable, extended July weekends in which one can dance (late into the night if one wishes), sing, play, learn, share experiences, eat, party, and make new friends in a congenial, relaxed community atmosphere. 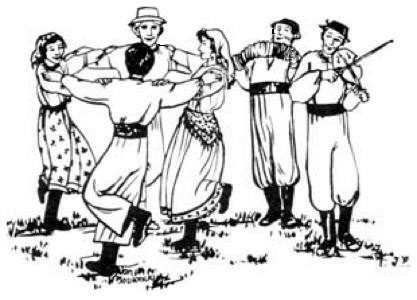 The weekend offers a wide range of options for international folk dancers, traditional contra and square dancers, singers and musicians of all levels of experience and interest, as well as activities and accommodations for their non-dancing family, friends, and significant others. The Festival engages many talented instructors, callers, group leaders, singers, and musicians from the Midwest and beyond to lead events. Organized by: Paul Collins and Gerhard Bernhard.